In order to fulfill the requests of users of this website in the cases above, we use forms to request the user provide contact and/or payment information. If we have trouble fulfilling a request you have made on this websit, we will use the contact information you provide to reach out to you. We monitor traffic patterns on the website and gather broad demographic information for aggregate use to analyze trends and make adjustments to the website in order to improve its layout and design to create the best user experience for website visitors. We may use third parties with whom we share the information necessary to accomplish these objectives. These statistics include no personally identifying information. For our purposes, we define personally identifying information as information the Charleston Duck Race team uses to identify you as an individual, including but not limited to your name, address, telephone number, and/or any other information that is connected with you personally. We may provide personal identifying and account information in special cases such as those required by law or legal process to protect and defend the rights and safety of our website and its users. This includes exchanging information with other companies for purposes of fraud and credit risk reduction. Our website also contains links to external Internet sites, which may be operated by an external party, and they may have privacy practices that differ from those here at CharlestonDuckRace.com. When you click on links that take you to such external sites, you will be subject to their privacy policies, and we encourage you to become familiar with that party’s privacy policies as these may differ from those utilized on our website. The website has no control over or access to specific login information or personally identifiable information you provide to third-party websites. We take the security of your personally identifiable information very seriously and follow precautions to safeguard this information. We take credit card information security seriously and use a variety of technical solutions to keep donations safe on our website. The information you submit on our website is encrypted and is protected utilizing the industry standard Secure Sockets Layer (SSL) encryption software. All payment information, including your credit card details and your billing address, is submitted to and managed by our third party payment processor, Stripe. Administrators of the Charleston Duck Race only see your contact information; for security reasons, they are not in possession of any of your credit card details. While we use SSL encryption to protect sensitive information online, we also protect user information offline. All of the information on our website users, including the sensitive information mentioned above, is securely maintained via the cloud. Only administrators of our organization who need the information to perform a specific job are granted access to personally identifiable information. Furthermore, our administrators are kept up-to-date on our security and privacy practices. If you have any questions about the security on this website, you can send an email to info@charlestonduckrace.com. 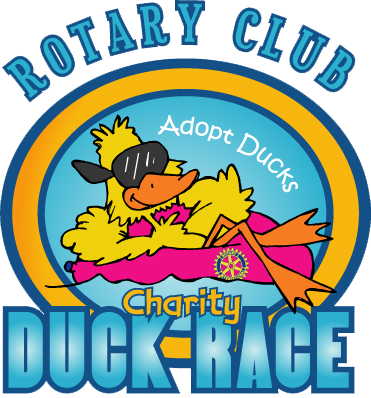 The team at the Charleston Duck Race recognizes the particular importance of protecting the privacy of children. Consistent with the Children’s Online Privacy Protection Act (COPPA), we will not knowingly collect any personally identifiable information from children under the age of 13; parental consent is required for the collection, use, or disclosure of personally identifiable information by children under the age of 13. When a user makes a donation or sends a message on CharlestonDuckRace.com, the user is representing to us that they are an adult. If you believe a child has provided CharlestonDuckRace.com with personally identifiable information, we ask that you send us a message, and we will delete the information pertaining to the child from our records. CharlestonDuckRace.com occasionally sends emails to donors who have expressed an interest and have provided us with their email address. We may communicate with the users of the website via email or by telephone in order to provide the requested information. The users of the website are always given the opportunity to ‘opt-out’ of having their online information used for purposes not directly related to the website at the point at which we ask for the information or when they receive an online requested promotional communication. For example, our email newsletters have an “unsubscribe” feature for users of the website who don’t want to be notified about special events or fundraising campaigns in the future. We will remove that email address from our database. If a user has more than one email address, he or she should follow the unsubscribe instructions for all of their other email addresses as well to ensure proper updating of their account information. Users of the website can always update the personally identifying information that they have provided to CharlestonDuckRace.com simply by emailing us at info@charlestonduckrace.com.